Chadwick Optical, Inc. Aniseikonia Size Lens Kit - Chadwick Optical, Inc. Size lenses are miniature afocal telescopes. By looking through the lens with convex side, away from the eye, the user will view the image as slightly larger. By flipping the lens, it will make the image slightly smaller. Because the scopes are afocal, they can be stacked to measure different amounts. By holding the 1% and 2% together, it makes the magnification 3%. 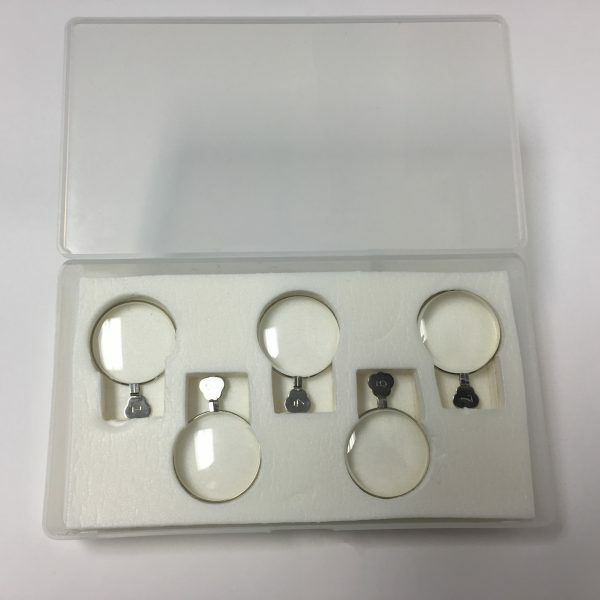 Size lenses should be used over the patient’s refraction. And when manufactured, we typically want to add the magnification to the smaller eye. There may be exceptions on the higher Rx’s. Check out our AMAZING Aniseikonia Calculator to save you some work!